district, and Findlay Market. The Hyde Park neighborhood is full of beautiful old houses and a small shopping area. For nightlife, you'll want to venture over to Mt. Adams, which is home to not only the best bars and restaurants in the city, but also the most picturesque views of the skyline. I have a soft-spot for Cincinnati primarily because my Father was born and raised there. Founded in 1788, Cincy is Ohio's third largest city, with a population estimated to be somewhere around three-hundred thousand people. Although it has it's problems, Cincinnati will always be for me, what the great American poet, Henry Wadsworth Longfellow, said about Cincy when he referred to her as the "Queen of the West." I've passed through Cincinnati many times on my way from New York to Chicago, whether by plane or car. There's some nice stuff to see, and they have their own special style of chili. Cincinnati is the third largest Ohio city that has a rich history. Along the Ohio River, you can find plenty of restaurants and bars and enjoy a nice lengthy walk on a good day. In addition to the restaurant and bars, the Riverfront area has Cincinnati Reds and Bengals stadiums for your sporting entertainment. The Ohio river, as you can see, is a very active river. In the past few years, Cincinnati is doing a good job proving Mark Twain just may have been wrong. The Ohio River town is enjoying a strong resurgence thanks to new riverfront development and restaurants and shops in Over-the-Rhine including the Gateway Corridor's Senate and Bakersfield OTR. The city's large public market, Findlay Market, continues to grow, and the two big sports teams, the Reds and the Bengals, aren't doing that bad. Washington Park used to be the city's haven for drug deals and junkies. Not anymore. Now it's a beautiful public park that, in the summertime, features free performances by groups including the Shakespeare Festival. Like Los Angeles, Cincinnati is a city of very diverse neighborhoods and each have something to offer. Visit Northside for great vegan and vegetarian lunch or dinner at Melt (order it to-go and they'll deliver it to you next door at the Northside Tavern), or take a stroll through Mount Adams and hang out at overlooks of the city and stroll tiny streets reminiscent of ones found in Europe. For the most part, Cincinnati is an eye-catching city. Eden Park is one of the largest public parks in the country, the views of the Kentucky hills and Ohio River from any number of hillsides in the city are breathtaking, and the city boasts more Italianate architecture than any other in the country (you'll find this in Over-the-Rhine) It also features a strong arts scene thanks to venues like the Contemporary Arts Center, the Tony-award winning Cincinnati Playhouse in the Park, and the diverse local music scene. Cincinnatians will tell you their town is "conservative." Some will quote the Twain saying and nod in agreement - but the funny thing is that many of them have lived elsewhere and have returned - usually to start their own businesses or pursue their creative passion while still able to afford a mortgage. Conservative? Probably. But right now it's also a city full of energy and possibility. A surprisingly cute town that has more to offer than most midwestern cities. Plus, it's super cheap everywhere you go. The main problem with Cincinnati is that there has been a huge increase in bed bugs in the past few years. I grew up in Cincinnati and will always have an affection for it. Growing up there, it was a great town - really, an epitome of an American Midwestern town. It has deep history (much more than most cities in the country), and a strong culture for the social arts. Beautifully nestled in the Ohio River Valley, the surrounding area has rolling hills densely populated with a working class - to - upper middle class Americana ranging from inner city struggles to shopping suburbia. 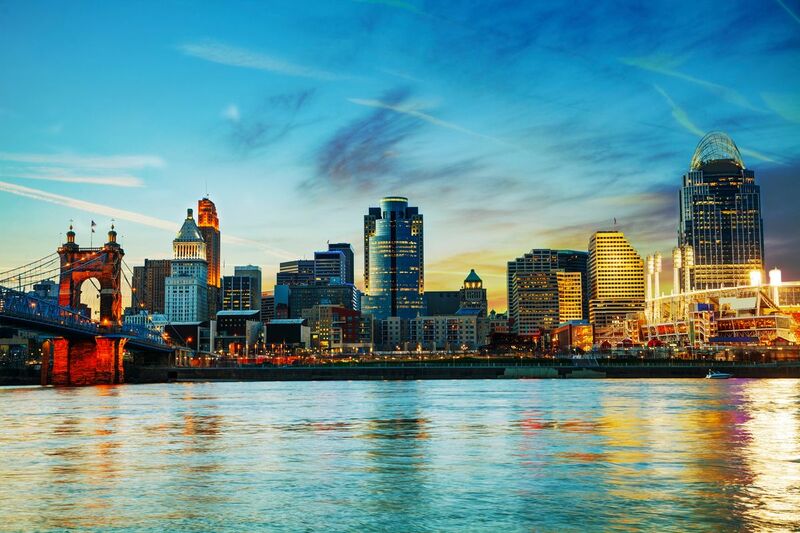 Cincinnati (unlike many of its Midwest counterparts) is a city on the rise - changing, growing, and inspiring.